Co-owner Tony Velazequez designed the dining room of La Betty. Photo by Jessica Sidman. Growing up in a German-Irish family in Ohio, Teresa Velazquez was often charged with feeding her five siblings. That’s how she started baking, which eventually led her and husband Tony Velazequez to open Baked & Wired and, more recently, A Baked Joint. Now, those homey family meals are also the inspiration for their first sit-down restaurant, La Betty, which they recently opened in Mount Vernon Triangle with their kids, Tessa and Zak. “We’re really becoming a foodie town, but more and more, we’re finding it’s that one month-long reservation wait to get a table… It’s a big event. You’re throwing down a couple hundred bucks for a meal,” says Tessa. The family’s goal was to create something simpler: a cozy neighborhood joint serving “feel good food,” where you never have to Google the ingredients. La Betty’s slim menu of home favorites draws from Teresa’s upbringing and that of her children—from corn dogs to currywurst. Deviled eggs are an homage to the eggy treats Teresa looked forward to during gatherings at her grandma’s lake house, while glazed ribs are a comfort her dad always cooked for the family. A chicken pot pie that the Velazquez family grew up eating has been transformed into a (vegan) roasted root vegetable galette made with the same dough used in Baked & Wired’s pies. “Not yo’ mama’s chicken schnitzel,” topped with tons of arugula, fennel, and cherry tomatoes, riffs on the homemade chicken fingers Teresa always made for her kids and their friends. Not much decision-making is required for drinks. The menu includes just one red, white, and sparkling wine ($9 for a glass, $36 for a bottle); one cider; one draft cocktail (an Americano); and two beers (one dark, one light) served in 8-ounce glasses for $3.50 each. Tessa says they wanted such small glasses to avoid the problem of the beers becoming warm and flat. The staff will walk around with trays of fresh, cold beers, so that if you want a refill, they can immediately swap your glass out. 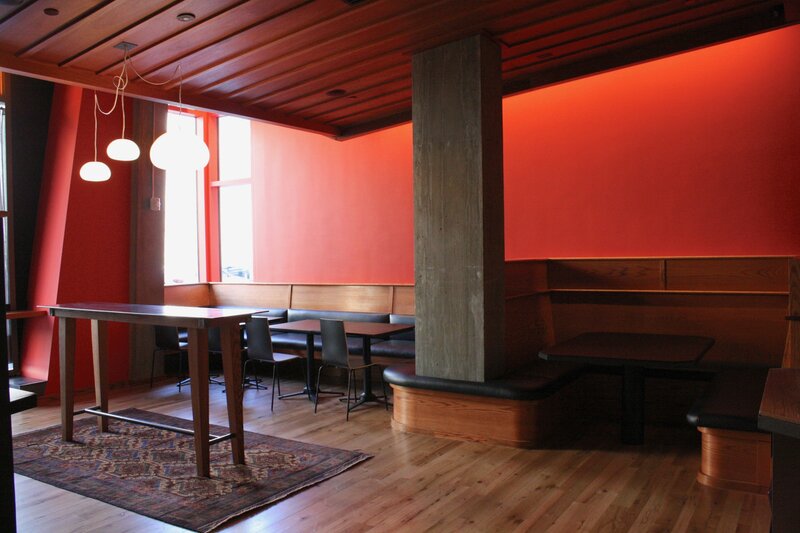 The dining room contains a communal table plus plenty of booths. 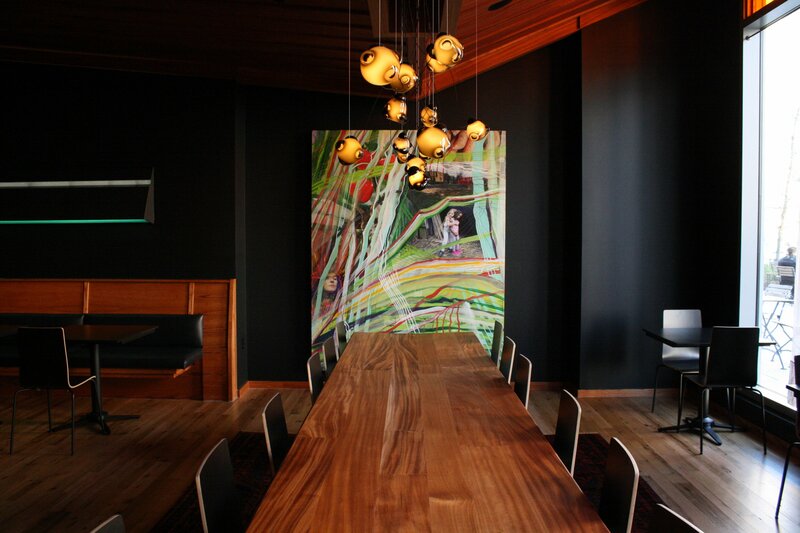 Tony Velazquez, an architect by trade, designed the dining room with the help of his artist son Zak. The African mahogany ceilings, black walls, and plethora of booths are meant to give the place a homey feel. The dining room and bar area at La Betty. 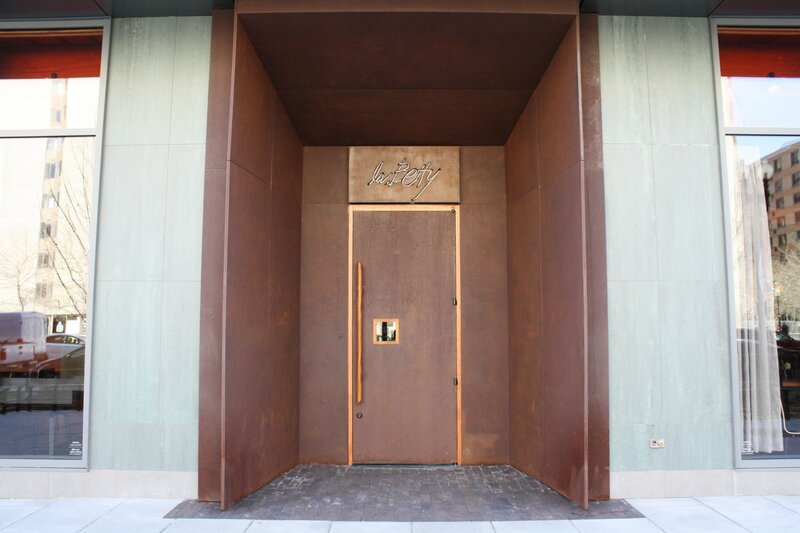 The entrance of La Betty, located on the same block as A Baked Joint. La Betty. 420 K St., NW; 202-408-8000. Open every day except Tuesday from 5 to 10 PM. Hours expanding soon.